The Department of Epidemiology is one of the top research epidemiology departments in the country. The department’s many areas of emphasis focus on the prevention and treatment of chronic disease and contribute to the improved understanding of cancers, diabetes, osteoporosis, and aging, as well as the relationship of lifestyle factors such as diet and exercise to genetic susceptibility. Our research programs extend a global reach to South America, Southeast Asia, and Africa. Faculty members in each of these areas offer major research and/or community service programs that provide excellent facilities for student research and field training. Areas of research broadly include: musculoskeletal health: mobility, disability, sarcopenia, osteoporosis, and osteoarthritis; biology of aging and longevity genetics; cardiovascular aging and diabetes; cognitive and mental health and sleep disorders; global aging and minority aging; prevention, health promotion, and health care utilization. Training grant: All trainees participate in a four-course series on aging, hands-on research training, research conferences, and seminars. Additional career development opportunities for post-doctoral students are available. 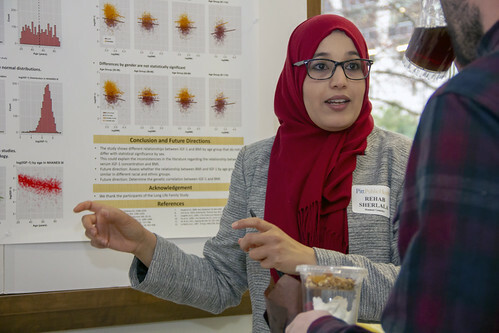 All doctoral trainees design, implement, analyze data, and report the results of an independent study as part of the program with a goal of submitting three manuscripts for publication. 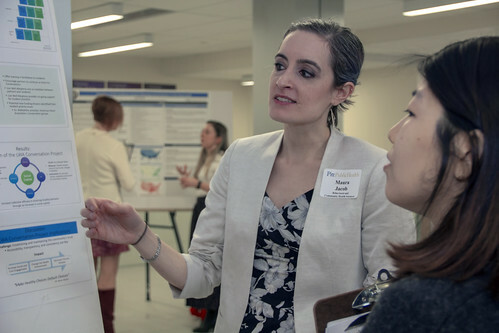 Trainees are encouraged to present their research in a variety of venues, including Public Health Dean's Day, Aging Institute Research Day, and national scientific meetings. Faculty members primarily working in this area include: Robert M. Boudreau, Jane A. Cauley, Nancy W. Glynn, Lewis H. Kuller, Iva Miljkovic, Anne B. Newman, Caterina Rosano, Andrea L. Rosso, Adam Santanasto, Elsa S. Strotmeyer, and Joseph M. Zmuda. Collaborating Faculty include: Steve M. Albert, Howard J. Aizenstein (Geriatric Psychiatry), Steve H. Belle, Emma J. Barinas-Mitchell, Jennifer S. Brach (Rehabilitation Sciences), Maria Mori Brooks, Clareann H. Bunker, Lora Burke (Nursing), Mary Ganguli (Psychiatry), Tiffany L. Gary-Webb (Behavioral and Community Sciences), Susan Greenspan (Medicine), John Jakicic (Exercise Physiology), Candace M. Kammerer (Human Genetics), Allison L. Kuipers, Oscar L. Lopez (Neurology), Neelesh Nadkarni (Geriatrics), Karen A. Matthews (Psychiatry), Ryan L. Minster (Human Genetics), Trevor J. Orchard, Sara Piva (Health and Rehabilitation Sciences), Akira Sekikawa, and Jian-Min Yuan. Areas of focus include: population health status assessment; infectious and chronic disease surveillance and control; maternal and child health epidemiology; and environmental health epidemiology. Opportunities include practicum experiences, independent study and other applied projects. 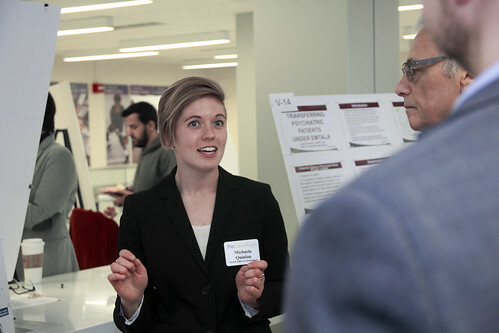 An enhanced practicum experience is the Summer Institute in Applied Public Health at the Allegheny Health Department. Faculty members currently working in this area include Marshal Ma, Thomas J. Songer, and Evelyn O. Talbott. Additional collaborators from the Allegheny County Health Department include: LuAnn Brink and Kristen J. Mertz. Research focus areas include: breast cancer and hormonal factors; environmental exposures determined by objective biomarkers and gene-environment interaction in the etiology of and susceptibility to cancer, including cancers of the lung, liver, colorectum, urinary bladder, breast, ovary and prostate; molecular epidemiology; cancer screening and related health services; diet as a source of risk and protective factors of cancer; obesity and weight loss for cancer prevention. An advanced course is offered in cancer epidemiology on topics of surveillance, etiology and prevention. Cancer Epidemiology and Prevention Program Seminar series at the University of Pittsburgh Cancer Institute and National Cancer Institute-designated Comprehensive Cancer Center. 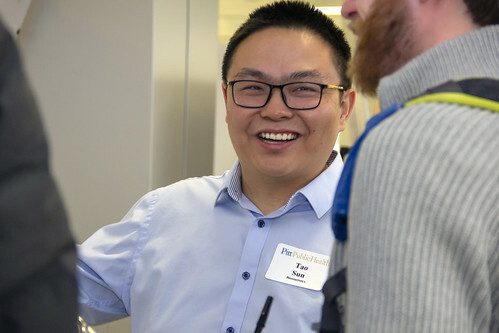 Faculty members currently working in this area include: Clareann H. Bunker, Jane A. Cauley, Lewis H. Kuller, Faina Linkov (Obstetrics, Gynecology & Reproductive Sciences), Hung Luu, and Jian-Min Yuan. Cardiovascular areas of research broadly include: subclinical atherosclerosis; cardiovascular aging and longevity; women’s health; nutrition and environment; vascular aging; lipid metabolism; body composition and obesity; physical activity; novel CVD risk factors, high risk and international populations; hypertension; peripheral nerve function; and evaluation of interventions. Diabetes areas of research include extensive programs in both Type 1 and Type 2 diabetes. For type 1 diabetes, these include a 30-year follow-up study of childhood onset diabetes, Pittsburgh Epidemiology of Diabetes Complications Study, and the national DCCT/EDIC study also with over 25 years follow-up. For type 2 diabetes, the Diabetes Prevention Program Outcomes Study and the translation of the interventions to the community form the basis of much activity including a Diabetes Prevention Support Center. Training grant: Designed to train individuals in cardiovascular epidemiology based on a pathophysiological understanding and experiential learning to thereby help develop in the future better prevention strategies. The Training Program is organized around three Research Cores: 1) subclinical atherosclerosis, 2) biostatistics/epidemiological methods and 3) cardiology, grounded in six areas of strength (i) vascular aging, (ii) women’s health, (iii) high risk & international populations, (iv) nutrition & environment, (v) physical activity and (vi) psychosocial factors. To address challenges and opportunities which epidemiological research faces, our Training Program is updated by introducing big data, mobile health, and cross-cohort Collaboration components for which we have rich faculty expertise. This will position our trainees to be independent cardiovascular epidemiologists in multidisciplinary research setting competent in traditional and novel epidemiological methods in CVD. Faculty members currently working in this area include: Emma J. Barinas-Mitchell, Marnie Bertolet, Maria Mori Brooks, Clareann H. Bunker, Lora Burke (Nursing), Janet Catov (Obstetrics, Gynecology & Reproductive Sciences), Jane A. Cauley, Tina Costacou, Samar El Khoudary, Linda Fried (Medicine), Bethany Barone Gibbs (Health and Physical Activity), Tiffany L. Gary-Webb (Behavioral and Community Sciences), Peter J. Gianaros (Psychology), M. Kaye Kramer, Andrea Kriska, Allison L. Kuipers, Lewis H. Kuller, Oscar L. Lopez (Neurology), Rachel H. Mackey, Jared W. Magnani (Cardiology), Oscar Marroquin (Medicine), Karen A. Matthews (Psychiatry), Iva Miljkovic, Rachel G. Miller, Matthew F. Muldoon (Cardiology), Suresh Mulukutla (Medicine), Anne B. Newman, Trevor J. Orchard, Sanjay R. Patel (Medicine), Bruce L. Rollman (Medicine), Akira Sekikawa, Thomas J. Songer, Elsa S. Strotmeyer, Evelyn O. Talbott, Rebecca C. Thurston (Psychiatry). Faculty contact: Steven H. Belle, PhD, M.Sc.Hyg. The activities of the Epidemiologic Methods group contribute to all areas of emphasis, specializing in design and conduct of studies including adaptive trials, survey sampling, and statistical methods. The didactic component includes three general methods courses and a design of clinical trials course. The journal club has covered topics including Latent Variable Modeling in Epidemiology and Causal Inference. The Epidemiology Data Center (EDC) was established in 1980 as a section of the Department of Epidemiology, founded by Katherine M. Detre, MD, DrPH, and under the co-direction of Steven H. Belle, PhD; Maria M. Brooks, PhD; and Stephen R. Wisniewski, PhD. The EDC has collaborated in over 100 research studies sponsored by the National Institutes of Health and other agencies. Presently, the EDC coordinates data management and analysis activities for 26 research projects sponsored by federal and various other governmental or private agencies and by industry. For more information, see the EDC website. The EDC hosts the CTSI Design, Biostatistics, and Epidemiology (DBE) Core providing services to researchers at all stages of the research spectrum. Services include: grant application development and the pairing of researchers with statistical collaborators. It also hosts a Journal Club offering topics such as Propensity Scores and Survey Sampling. Faculty members currently working in this area include: Emma J. Barinas-Mitchell, Balasubramani K. Goundappa, Steven H. Belle, Marnie Bertolet, Robert M. Boudreau, Maria Mori Brooks, Yona Cloonan (Health and Rehabilitation Sciences), Samar El Khoudary, Anthony Fabio, Sheryl Kelsey, Wendy C. King, Ashley I. Naimi, Rachel H. Mackey, Bedda L. Rosario, Kristine M. Ruppert, Robert Schoen (Medicine), and Stephen R. Wisniewski. Additional collaborators from the Department of Biostatistics include: Jong H. Jeong and Abdus S. Wahed. Areas of research include: air pollution exposure and chronic and acute outcomes including Amyotrophic Lateral Sclerosis (ALS), autism, and cardiovascular disease outcomes. The area of environmental epidemiology considers PM2.5 as well as national air toxics that are modeled by the USEPA and associations with health effects including ALS, childhood autism, asthma, and cardiovascular disease outcomes. 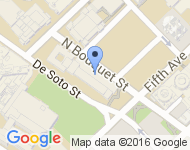 Geographic information system work using spatio-temporal models are encouraged. We currently have two grants funded through the CDC and the Amyotrophic Lateral Sclerosis Association (ALSA) focusing on environmental exposures and risk of ALS as well as a funded study through Allegheny Singer Health Foundation studying asthma emergency department visits and air pollution in Allegheny County. The investigations involve the engagement of the CDC Agency for Toxic Substances and Disease Registry (ATSDR), National ALS Registry, National Institute of Environmental Health Sciences (NIEHS), and ALSA. The ALSA foundation grant is currently utilizing a large cohort of 196,000 women from the Women’s Health Initiative to identify ALS cases for the investigation. We are also proposing the collaboration with the Atherosclerosis Risk in Communities (ARIC) and the Nurses’ Health Study for additional follow-up studies. Graduate student research assistantships are available for CDC-funded projects involving ambient air lead, air toxics, pesticide exposure, and ALS; childhood autism and the environment; and PM2.5 air pollution and cardiopulmonary outcomes. Required courses include Introduction to Environmental Epidemiology, Geospatial and Information Analysis in Community Health Studies, Environmental and Occupational courses in Exposure Assessment and Fate and Transport, etc. All doctoral trainees conduct an independent study with the requirement to submit three manuscripts for publication. Hands-on training in the area of environmental epidemiology is offered with collaborations at both the local, state and national levels. We offer many opportunities for experience at all of these levels. Faculty members currently working in this area include: Jennifer J. Adibi, Vincent Arena (Biostatistics), Jeanine Buchanich (Biostatistics), Gary Marsh (Biostatistics), Ravi Sharma (Behavior and Community Health Sciences), Evelyn O. Talbott, and Ada Youk (Biostatistics). Areas of research Include: maternal and child health (rural India); functional disability in aging (rural India); diabetes (Rwanda); hypertension, cardiovascular disease (rural India and Tobago); impaired kidney function (Tobago); infectious diseases/HIV/Tuberculosis (Brazil, India, Mozambique, and South Africa); Sickle Cell Disease (Ghana); bone health (Tobago); prostate cancer (Tobago and Nigeria); cancer (China); environmental health (China); application of the Internet and Mobile technology for global health and prevention; infectious diseases/dengue modeling (Thailand, Cambodia, Laos, Vietnam, Philippines, Singapore, Malaysia, Taiwan, Brazil, and Columbia); and atherosclerosis, coronary heart disease, Alzheimer’s disease, and chronic obstructive pulmonary disease (Japan). Development of the internet Supercourse with 50,000+ members from over 170 countries, teaching over 50,000,000. Development of Project Tycho, a global health data repository released in November of 2013 providing open access to high resolution disease data for research, training, and public health public policy. Faculty members currently working in this area include: Donald S. Burke, Jane A. Cauley, Catherine L. Haggerty, Lee H. Harrison, M. Kaye Kramer, Andrea Kriska, Allison L. Kuipers, Ronald LaPorte, Faina Linkov (Obstetrics, Gynecology & Reproductive Sciences), Iva Miljkovic, Jean B. Nachega, Anne B. Newman, Trevor J. Orchard, Akira Sekikawa, Evelyn O. Talbott, Wilbert Van Panhuis, Jian-Min Yuan, and Joseph M. Zmuda. Areas of research include: epidemiology and molecular epidemiology of serious, vaccine-preventable, drug-resistant and hospital-associated bacterial infections; prevention of HIV infection; infectious diseases surveillance; computational modeling of disease and intervention strategies; use of geotemporal analysis in infectious diseases. Training grant: prevention of HIV infection in Brazil, India, and Mozambique. All doctoral trainees conduct an independent study with the requirement to submit three manuscripts for publication. Trainees can choose traditional epidemiology or molecular epidemiology as the basis of their doctoral research. Faculty members currently working in this area include: Steven H. Belle, Donald S. Burke, Catherine L. Haggerty, Lee H. Harrison, Lawrence Kingsley (Infectious Disease and Microbiology), Jean B. Nachega, and Wilbert Van Panhuis. Collaborating from the Allegheny Health Department: Kristen J. Mertz. Applied research in broad areas of unintentional and intentional injury including but not limited to injury from motor vehicle crash, falls, natural disasters, poisoning, head trauma, criminal violence, child maltreatment, domestic violence, and treatment of injury. Emphasis on the application of epidemiologic methods in population and clinical settings to understand key risk and prognostic factors for primary and secondary prevention of injury. Trainees participate in academic training in injury epidemiology and/or injury prevention and control and applied research training on specific injury and violence topics using mentors from multiple disciplines in the fields of epidemiology, statistics, trauma, behavioral sciences, surgery, psychiatry, criminology, and others. Faculty members currently working in this area include: Anthony Fabio, Thomas J. Songer, Evelyn O. Talbott, Stephen R. Wisniewski, Mazen S. Zenati (Surgery), and Steven M. Albert (Behavioral and Community Health Sciences). Areas of current research broadly include aging, cancer, reproduction and early development, cardiovascular disease, diabetes, obesity, sarcopenia, and osteoporosis. Requirements vary depending on student background and needs, in collaboration with the Department of Environmental and Occupational Health and the Department of Human Genetics in the Graduate School of Public Health. Didactic and laboratory courses are offered. 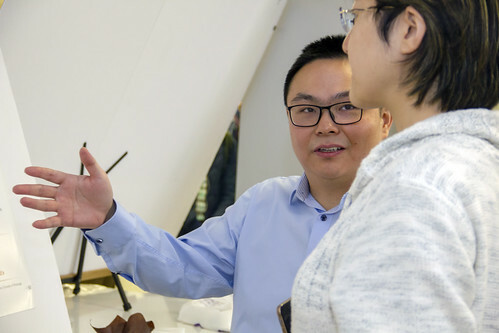 Faculty members currently working in this area include: Jennifer J. Adibi, Allison L. Kuipers, Hung Luu, Iva Miljkovic, Anne B. Newman, Jian-Min Yuan, and Joseph M. Zmuda. Collaborators from the Department of Human Genetics include: Candace M. Kammerer, M. Ilyas Kamboh, Ryan L. Minster, Daniel M. Weeks, and Brenda Diergaarde. Areas of research include: nutritional epidemiology, obesity epidemiology, especially optimal weight gain during pregnancy, body composition, bariatric surgery, dietary intake, supplement use and sarcopenia. Relevant courses include Nutritional Epidemiology, Nutrition Assessment Laboratory. Faculty members currently working in this area include: Lisa M. Bodnar, Lora Burke (Nursing), Tina Costacou, Samar El Khoudary, Wendy C. King, Andrea Kriska, Allison L. Kuipers, Iva Miljkovic, Trevor J. Orchard, Akira Sekikawa, and Jian-Min Yuan. Focuses on the application of epidemiology methods and cutting-edge neuroimaging methodologies in population and clinical studies to enhance etiological research and evaluation of specific therapies in the disorders of the central nervous system. Targets the interdependent nature of clinical characterization, epidemiological methods, and multimodal assessment of disorders of the central nervous system through rigorous academic training and applied research opportunities. Maximizes the potential for applied research training and for successful field placements of the trainees through multidisciplinary mentored work with leaders in the fields of epidemiology, psychiatry, neuroscience, neurology, and others. Funding: Training grant in Population Neuroscience with a focus on aging related dementia: 3 pre-docs, 2 post-docs. Also, R01 of individual faculty/mentors. Faculty members in Epidemiology currently working in this area include: Jane A. Cauley, Mary Ganguli (Psychiatry), Lewis H. Kuller, Karen A. Matthews (Psychiatry), Trevor J. Orchard, Gale A. Richardson (Psychiatry), and Andrea L. Rosso. Collaborators from other departments include: Howard J. Aizenstein (Geriatric Psychiatry), James Becker (Psychiatry), Kirk Erickson (Psychology), Peter J. Gianaros (Psychology), Lana Chanine (Neurology), Oscar L. Lopez (Neurology), Amy Wagner (Physical Medicine and Rehabilitation), and Meryl A. Butters (Psychiatry). This program involves translating the proven benefits of lifestyle intervention on a broad range of health outcomes including type 2 diabetes, cardiovascular disease, and obesity. This program encompasses the conceptual and practical foundation needed for such public health translation initiatives. Learning objectives include a thorough understanding of disease prevention, behavioral intervention theory, and lifestyle intervention training, along with a critical understanding of the methodological issues in designing and evaluating these efforts. Course work includes formal training and a practicum in which students gain community-based experience administering the lifestyle intervention, which is comprised of weight loss, increased physical activity, and healthy eating. An integral part of this Area of Emphasis in the Department of Epidemiology is the Diabetes Prevention Support Center (DPSC). The DPSC is comprised of Epidemiology faculty who were originally part of the Diabetes Prevention Program, the national multi-center clinical trial that demonstrated the benefits of lifestyle intervention in preventing a chronic disease. The DPSC serves as the central training center for lifestyle intervention delivery as well as provision of subsequent post-training support. The Department of Epidemiology is also the home of the Physical Activity Resource Center for Public Health (PARC-PH) which was developed to provide the physical activity assessment information and lifestyle intervention tools necessary to carry out prevention/translation efforts. Faculty members currently working in this area include: Lisa M. Bodnar, Joyce T. Bromberger, Lora Burke (Nursing), Jacqueline Dunbar-Jacob (Nursing), Nancy W. Glynn, Wendy C. King, Andrea Kriska, Lewis H. Kuller, Faina Linkov (Obstetrics, Gynecology & Reproductive Sciences), Karen A. Matthews (Psychiatry), Kathleen McTigue (Medicine), Trevor J. Orchard, Bonny Rockette-Wagner, Elizabeth M. Venditti (Psychiatry), and Tiffany L. Gary-Webb (Behavioral and Community Sciences). The Psychiatric Epidemiology area of emphasis focuses on the acquisition of epidemiological, biostatistical, and psychiatric concepts and methods, and on their application to research in the field of psychiatric disorders. Training is accomplished through course work in epidemiology and biostatistics, and through courses in psychiatric epidemiology that were designed specifically for the area. 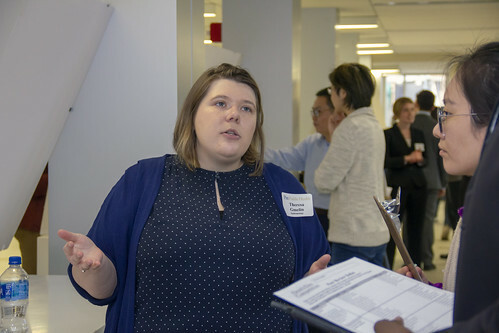 The training experience includes the opportunity to work on research projects with faculty mentors who are active researchers in psychiatry and epidemiology within the Graduate School of Public Health and the Department of Psychiatry within the University of Pittsburgh School of Medicine. Faculty members currently working in this area include: David A. Brent (Psychiatry), Joyce T. Bromberger, Tammy A. Chung (Psychiatry), Mary Amanda Dew (Psychiatry), John E. Donovan (Psychiatry), Mary Ganguli (Psychiatry), Karen A. Matthews (Psychiatry), Margaret C. McDonald, Kenneth Perkins (Psychology), Gale A. Richardson (Psychiatry), and Stephen R. Wisniewski. Areas of research broadly include: causes of pregnancy complications and adverse outcomes including spontaneous abortion, stillbirth, preterm birth, low birth weight, intrauterine growth restriction, and preeclampsia; obesity and nutrition among pregnant women; fertility and contraception; breastfeeding; and sexually transmitted infections. A major clinical site for collaboration is Magee-Womens Hospital, the obstetrics, gynecologic, and reproductive sciences specialty hospital associated with the University of Pittsburgh Medical Center. Global health research experiences are available through a study of pregnancy being conducted in India. Training program provides concentrated, tailored training on the patterns, risk factors, and interventions that might improve reproductive, perinatal, and pediatric health, as well as women's health across the lifespan. All trainees will participate in coursework, research field work, and professional development including courses in Reproductive Epidemiology, Epidemiology of Women's Health, and Pediatric Epidemiology; a Reproductive, Perinatal and Pediatric Epidemiology Journal Club; a Maternal and Child Health Journal Club; independent research; grant writing; manuscript preparation; and scientific conference presentations. Trainees who engage in community service activities in addition to completing the didactic requirements will be eligible for a Women's Health Specialization, which honors trainees' combined interests in women's health research and community outreach. Faculty members currently working in this area include: Jennifer J. Adibi, Lisa M. Bodnar, Clareann H. Bunker, Janet Catov (Obstetrics, Gynecology & Reproductive Sciences), Catherine L. Haggerty, Dara D. Mendez, Ashley I. Naimi, Gale A. Richardson (Psychiatry), James Roberts (Obstetrics, Gynecology & Reproductive Sciences), and Evelyn O. Talbott. Areas of research broadly include: women’s health across the lifespan, menopause, and late life. Menopause and Aging focuses on furthering our understanding of chronological aging versus ovarian aging. Emphasis is placed on a broad range of topic areas including the skeleton, reproductive health, cardiovascular disease, mental health, physical function and disability, body composition, and lifestyle. Faculty members currently working in this area include: Emma J. Barinas-Mitchell, Lisa M. Bodnar, Maria Mori Brooks, Janet Catov (Obstetrics, Gynecology & Reproductive Sciences), Jane A. Cauley, Alicia Colvin, Natacha DeGenna (Psychiatry), Samar El Khoudary, Catherine L. Haggerty, Andrea Kriska, Lewis H. Kuller, Rachel H. Mackey, Nina Markovic (Dental Medicine), Karen A. Matthews (Psychiatry), Dara D. Mendez, Gale A. Richardson (Psychiatry), Kristine M. Ruppert, Akira Sekikawa, Evelyn O. Talbott, and Rebecca C. Thurston (Psychiatry).